There will be one service only on April 2 (at 9:30 a.m., with music by the Radiance Band), immediately followed by the all-church quarterly meeting in the Parish Hall. 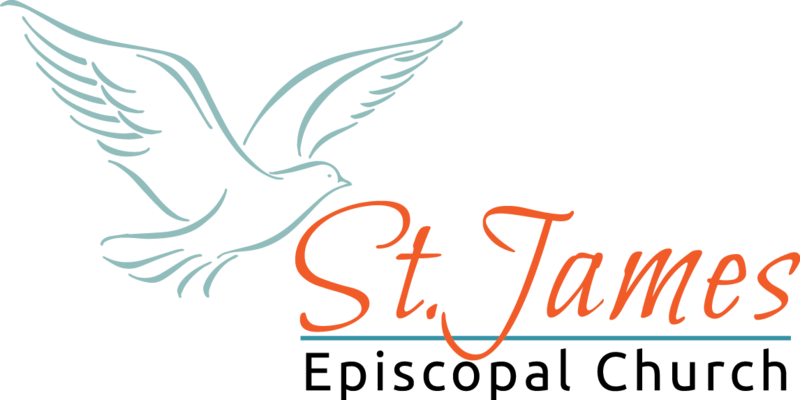 The Vestry will provide treats and outline St. James’ financial goals, and we use an interactive map to explore St. James’ community connections. The Power of Small Choices evening series is a creative and inclusive approach to your Lenten Journey. The course meets for five Wednesdays during Lent: March 15, 22, 29, and April 5. There will be an optional Potluck Supper at 6 p.m., followed by the program from 6:45 p.m. to 8 p.m. This course is based on the book by bestselling Episcopal author Hillary Brand and draws from the movies Babette’s Feast and The Shawshank Redemption. This course is free, and all ages are welcome (ask us about childcare if needed). Transportation available upon request. Mother Joyce is leading a 3-Sunday adult education series, How do YOU read the Bible? that will practice reading the Bible through different Biblical lenses. Classes meet at 9:30 a.m. in the Parish Hall. March 26: Liberation, Feminism, and Disability: hearing the silent voices. Reading “between the lines” for those on the margins. Our Gardening Intern, Rachel Schindler, is hosting Garden Work Parties each Tuesday from 1–4 p.m. Please come, help with our Sharing Garden, and learn about gardening with our St. James community. A new cycle with new groupings begins in Easter 2017. Groups of six to nine people will meet for fun and fellowship in order to become acquainted (or better acquainted) with others in the St. James family. Each group can decide where, when, and how often they meet. Options might include: dinner, brunch, or dessert at members’ homes or a restaurant. To join a Loaves and Fishes 2017 group, please contact Kathy Hamilton at 206-498-8573 or kathleenhamilton01@gmail.com. On Thursday, March 30 at 7 p.m., Mother Joyce will share slides from her trip to the Holy Land and discuss the details of her experience. The evening will include prayers and hymns. We will also celebrate the first anniversary of Mother Joyce’s ordination! Bishop Greg Rickel will make his visitation to St. James on Palm Sunday, April 9. Anyone wishing to be confirmed or baptized during the Bishop’s visit should talk to Shannon in the office or Mother Joyce for more information. Laura Brustad is gathering names of those willing to help with the reception that will follow the 10:30 service. If interested, please call Laura at 253-561-5512. We’re also asking people to bring a food dish. A Women’s study group will meet Wednesday evenings at 6:30 p.m. on April 19, April 26, May 3, and May 17 at Mother Joyce’s home. While enjoying wine and snacks, we will study Bible Women: All Their Words and Why They Matter. For women interested in attending this study, the book may be purchased on Amazon. To register, contact Shannon at sjergenson@stjameskent.org or 253-825-4200. The kitchen now has new signage and bins as part of our effort to increase recycling and composting at St. James! If you are working in the kitchen, please take a moment to read the signs and sort waste accordingly. Compost will help feed nutrients back into our Sharing Garden and recycling will help us to send less waste to the landfill! Changes in bins and signage throughout the rest of the church will happen throughout the spring. Please share any ideas or feedback you have around these topics with our Garden Intern, Rachel: rachel.l.schindler@gmail.com. We’ve worked hard to organize things in the St. James office space and would like your help to keep it that way! If you have something you’d like to donate to the church, please do not leave it in the office or library without checking with Shannon. You may email her at sjergenson@stjameskent.org or call 253-852-4450. Thanks for your attention to this! Please submit prayer requests to the office at info@stjameskent.org. Prayer requests will be removed after 90 days.